There are many different ways to leave your own legacy. Some can even be completed without the help of an advisor, although you are always encouraged to consult a professional to ensure that your charitable plans are consistent with your plans for other loved ones. Everyone has a unique family and financial situation. Your legacy gift of any size can be designed to match your personal circumstances. Your will is an important element in your estate plan that enables you to protect the people you love, create a lasting partnership with the charities that you care about, and help ensure the future of the Jewish community. You can create a permanent legacy by leaving a bequest of a specific amount of cash, a percentage of your estate or the remainder of your estate. There's no limit on the amount you may set aside from your estate—you can make a gift as large or small as you'd like. (Some agencies may have minimum requirements for establishing an endowment. You may choose to make a gift of cash, securities or other property--and your estate will receive a tax deduction in the amount of your charitable bequest. A charitable bequest allows you to retain use and control over your assets during your lifetime. A bequest is a legacy gift, distributed from the donor’s estate after the end of his or her life. If not designated, it can be spent in the year that it matures. An endowment is a fund that is held in perpetuity, distributing a specified percentage annually to the designated purpose. A bequest can be added to your new or existing will through a simple codicil that states your intention, and can be a percentage or fixed amount of your estate. Click here to download sample bequest language, which you can use when meeting with your attorney to update your will. You can name your favorite charity as the beneficiary of a new or existing life insurance policy, or transfer ownership of an existing policy to the charity. A change in the beneficiary designation of an existing policy will allow you to make a legacy gift without any additional cost. A gift of an existing policy could provide the policy owner with an additional charitable deduction. When you create a legacy with a current gift of cash or other property, your gift may be used by the charity of your choice to supplement your annual gift, establish or supplement an endowment or be designated for a specific program. If you donate appreciated securities held for more than one year, you can avoid capital gains taxes and receive a tax receipt for the full value of your gift in the current year. If you have accumulated substantial amounts in your retirement account and you are in the highest brackets for paying income and estate taxes, those taxes can exceed 70% of the amount in the plan. These are not ideal assets to bequeath to your heirs. Naming one or more charities as the after-death beneficiaries of your IRA or pension fund (by designating specific amounts or percentages) can save these taxes while supporting the causes closest to your heart. With a quick update of your beneficiary designation form, you can direct funds to your favorite charity. Changing your beneficiary form often takes less than 5 minutes! A charitable lead trust is both an income and wealth transfer vehicle, enabling you to transfer income producing assets to the next generation at a significantly lower tax cost while meeting your philanthropic objectives. All trusts must be established with the help of an attorney. A charitable remainder trust is a creative way to create a lasting legacy in your name and receive income from the trust for life or for a specified number of years. Upon expiration of that term, the remainder of the trust goes to the Jewish communal organization of your choice to establish a permanent endowment. Your charitable remainder trust can be designed as either an Annuity Trust, with a fixed annual payment to you, or as a Unitrust, in which case you are paid a percentage of the value of the assets. All trusts must be established with the help of an attorney. Annual income for you, a spouse or someone you designate. You receive an immediate tax deduction at the time the trust is created. You incur no immediate capital gains tax on the transfer of appreciated assets. You save estate taxes when these assets are removed from your taxable estate. You achieve your long-term charitable objectives through the creation of a permanent legacy. Gifts of real estate may include a house, apartment building, vacation home, commercial buildings or income-producing and non-income-producing land. You can make an outright gift of real estate property now or through your estate. Gifts of real estate typically require certain procedural steps, including a site visit to the property, a qualified appraisal, a preliminary title report and an environmental assessment. A gift of real estate is an excellent way to unlock the full-appraised value of a property, allow for significant tax and economic advantages, and donate to worthy causes. 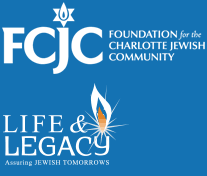 The Foundation for the Charlotte Jewish Community can help you structure a charitable gift of a vacation home, an investment property, land, or commercial or residential real estate. By donating real estate, you bypass capital gains and may deduct the fair market value of your gift. The proceeds can be distributed to a donor advised fund, family foundation or endowment fund. Property may also be used to fund a charitable remainder trust, which produces lifetime income for the donor. This information is intended as an educational tool. The information presented is to provide general information only and should not be construed as legal or accounting advice. Because tax and financial consequences involved with any gifting program depend on personal financial circumstances, individuals should consult with their own financial, legal and accounting advisors to review any charitable estate planning options.